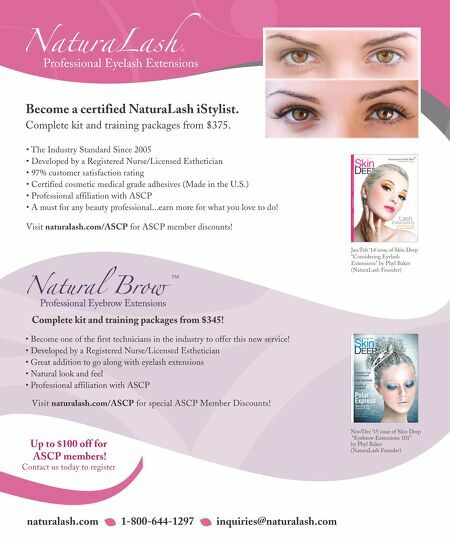 www.ascpskincare.com 37 expertadvice REPLENISH The problem with snacking is that we often do it at our desks, in the car, as we're running out the door, or at other times when a sit-down meal with plates and utensils just isn't possible. Because of that, we ignore any nutritional consequences and grab the fastest, easiest food option available. In many cases, that's something that comes in a wrapper, can be eaten one-handed, and is loaded with things our body doesn't need. But with a little forethought, you can enjoy snacks that are not only portable but healthy as well. LIGHT BITES DONE RIGHT Candy bars, chips, cookies, and crackers are easy to carry and eat in a rush, but they also tend to be loaded with sugar, salt, fat, and preservatives. 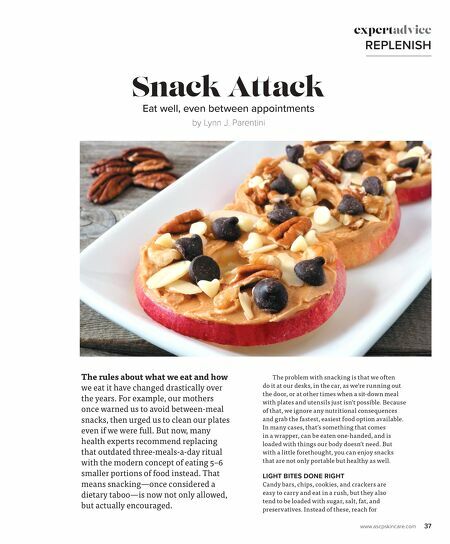 Instead of these, reach for Snack Aack Eat well, even between appointments by Lynn J. Parentini The rules about what we eat and how we eat it have changed drastically over the years. For example, our mothers once warned us to avoid between-meal snacks, then urged us to clean our plates even if we were full. But now, many health experts recommend replacing that outdated three-meals-a-day ritual with the modern concept of eating 5–6 smaller portions of food instead. That means snacking—once considered a dietary taboo—is now not only allowed, but actually encouraged.